2015 is marking a substantial expansion of the WTO Government Procurement Agreement (GPA). 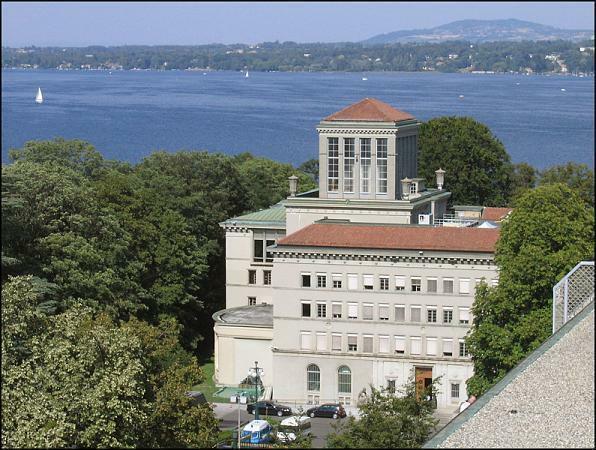 Two WTO members (Montenegro and New Zealand) were added to its roster; a third country (Moldova) has just been approved for membership; another (Ukraine) is expected before the year ends; and others are in the pipeline. The WTO Director-General noted the “momentum behind the GPA” in addressing a WTO symposium on the GPA. WTO Director-General Keynotes GPA Symposium: In keynoting the GPA Symposium, the WTO Director-General Roberto Azevêdo encouraged WTO members to consider the benefits of joining the GPA, noting its contributions to trade and development, as well as good governance. He singled out the key role of government procurement “in providing the infrastructure that enables trade to happen in the first place, including roads, railway systems, ports and airports.” DG Azevêdo also pointed to the importance of implementing and expanding the WTO’s existing agreements, not only the GPA, but also the Trade Facilitation Agreement and the Information Technology Agreement. Moldova’s GPA Accession Approved: On September 16, the WTO Committee on Government Procurement approved the terms of Moldova’s accession to the GPA. It gave Moldova six months in which to submit its instrument of accession. Moldova is slated to become the 18th party to the GPA. Seychelles Becomes Observer: The GPA Committee also approved Seychelles’ request for observer status. Seychelles has confirmed its intention to apply for accession to the GPA, in accordance with its commitment when it became a WTO member earlier this year. At that time, it promised to initiate GPA negotiations within 12 months after joining the WTO. It is only the second African country to become a GPA observer; Cameroon has been an observer since 2001. No African country has joined the GPA. Ukraine’s Accession Negotiations Completed: In September, the GPA parties completed their negotiations with Ukraine on its accession to the Agreement. They are expected to approve its accession package at their next meeting in November. Australia Submits Initial Offer: Australia has followed its June application to join the GPA with an initial market access offer based on its FTA commitments. It is aiming to complete its accession in 2016. That goal should be achievable since Australia has robust coverage of both federal and sub-federal procurement and aligned its procurement system with international standards in the 2005 Australia-U.S. FTA. Tajikistan Submits Initial Offer and Draft Law: Tajikistan submitted its initial GPA offer as well as its draft procurement law for review by the parties. It had applied for accession in February, in accordance with its commitment to do so when it joined the WTO. China’s Accession Negotiations Continue: At the September meeting, China reaffirmed its commitment to join the GPA, but did not set a date for another offer. It did suggest further improvements might be possible if internal reforms of its state-owned enterprises (SOEs) and military procurement were concluded and autonomous regions showed interest in being added to the offer. GPA parties again emphasized that China’s most recent offer – its 6th, tabled at the end of 2014, will need significant improvements in order to conclude China’s GPA negotiations, which are now in their 8th year. This entry was posted in China Government Procurement, GPA Accession, GPA General, GPA Updates, WTO Government Procurement Agreement (GPA) and tagged Australia GPA accession, China GPA accession, Moldova GPA accession, Seychelles, Tajikistan GPA accession, Ukraine GPA accession by Jean Heilman Grier. Bookmark the permalink.